Are you seeing signs of Autumn yet? Falling leaves, cooler temperatures? 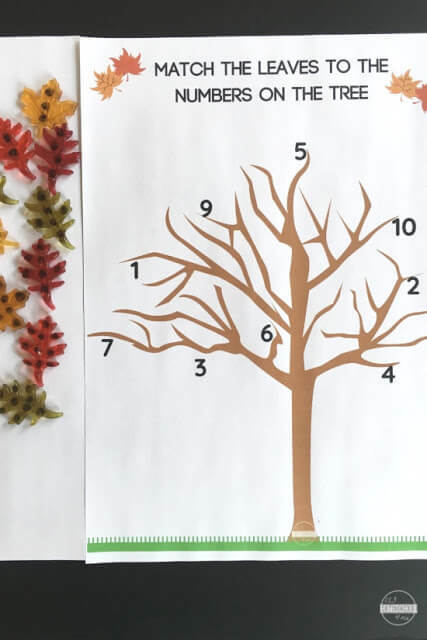 Here is a fun Autumn tree number matching activity, perfect for Fall! 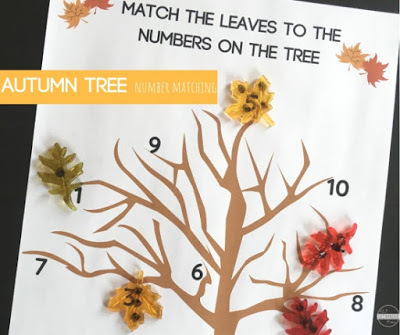 Match the dotted leaves to the numbers on the tree! This activity develops number sense and can be adapted to work on other mathematical skills too(read further to find out how). I used these plastic leaves and added the dots with a dry-erase marker. You can use any of the following items to cut Autumn leaves too(or use real leaves): cardboard, craft foam, laminated paper, fabric, felt etc. This numbers activity can be adapted to suit different abilities. I showed you here how to use it for young children starting to count dots and matching it to the number on the tree. 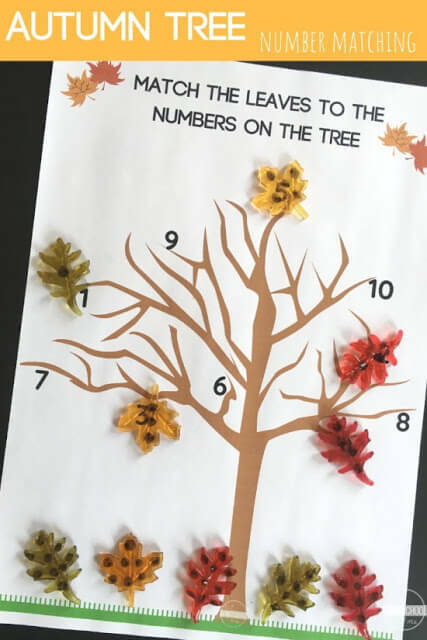 One can simply add numbers to the leaves if you want the child to only match the corresponding numbers. Another option: Add a numbered dice(up to 10 for this worksheet or use the blank tree to add your own numbers according to your dice) to the setup to decide which number to cover first. Older kids might need to work on their sums, whether it is adding, subtracting, multiplication or dividing sums! Use the blank tree version, laminate it, then add your own sums. 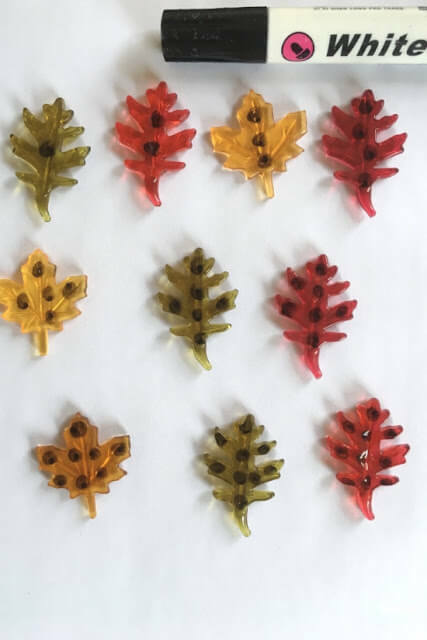 Add numbers to the leaves as answers they have to match. Lots of possibilities for fun learning during Autumn!